Staying connected with family and friends while traveling through China is now easier than it ever was and getting more accesible and convenient as technology and internet use spreads throughout the country. The reach however is unevenly spread, so while in the major cities of Beijing or Shanghai, finding a wireless hotspot or cell phone coverage (even in the Metro) is not a problem, if you travel away from the major urban areas, in some remote regions access is a bit more hit or miss. But in general while staying connected is relatively easy, there are some golden rules so you don't end up with a megasize bill at the end of your trip, specially if you are using your own cell phone plan from home. Just as important as the connection or device is what you will use in terms of applications or services, some of the most popular social media sites are blocked, so using Facebook or Twitter won't work, some Google apps may or may not be blocked, Google Drive seems to be blocked while Gmail seems to work most of the time. Here are some tips to keep you connected on the go. Although we strive to keep this information current, please keep in mind that when it comes to technology and connectivity things change rapidly, what applies today might not be true tomorrow! We apologize in advance if something is no longer the case and would appreciate your input so we can keep this page up to date. This page contains affiliate links from which we make a small commission if you buy. Visit our disclosure page for details. Wireless Internet coverage in China has virtually exploded in the last years with infrastructure that rivals and surpases what is available in many cities in the West. Some cities in China offer free city-wide Wi-Fi, such as Hangzhou, others offer free Wi-Fi in many public places. 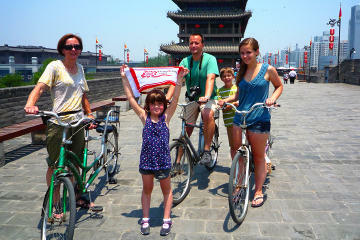 Shanghai for example, offers free Wi-Fi in the Bund and the YuYuan Gardens. Using the free wireless coverage will be your best bet to stay in touch, check e-mails or the weather. You can use your smartphone, laptop, iPad or tablet to access the internet and communicate via e-mail or Skype anywhere there is a Wi-Fi connection or hotspot available. First check if free wireless service is available at your hotel. In urban areas, even the smallest of hostels will have wireless internet, whether it is free to guests varies from property to property. Sometimes there is free wifi at the lobby only, if so, you will need to get a code to access the wireless connection. Use one of the many free hotspots throughout the cities, at the airports, train stations and shopping malls. Wireless internet is also available in many buses and trains. Beijing has the broadest WiFi coverage on buses in the country with about 10,000 internet-enabled buses through China Mobile's network. The Shanghai-Beijing highspeed train also has wireless internet access as are all Hong Kong metro trains. And of course, there is also free WiFi at Starbucks and McDonalds. You will need to get the access code from the attendants. Also note that many of the social media sites such as Facebook or Twitter are not accesible in China. Viber, WeChat and WhatsApp (so far) do work. Snapchat? Nope. If you use the Cloud, check that your app is not blocked in China to make sure you will be able to get to your documents. Dropbox and Google Drive are blocked in China but not in Hong Kong or Macau, as are many other Google-related sites, YouTube, Picasa, Google+. GMail however seems to work most of the time. iCloud works fine in China. Best thing is to have a backup plan just in case. Can your phone communicate in Chinese frequencies: Without getting too technical, the newer and higher-end the phone the higher the likelihood it will work. If you have a GSM tri-band or quad-band phone, you should be ok. The North American dual-band will not work in China. All iPhones are quad-band and most of the latest Samsung Galaxy phones are either tri- or quad-band and will also work. 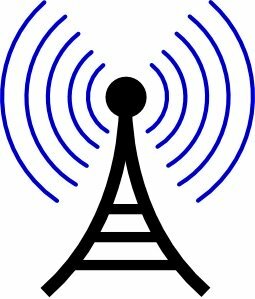 How do you know if you have a tri-band or quad-band phone? Check your user's manual or look up your model number on the internet. Your service provider plan: Many service providers, in the United States in particular, require that international service be activated. If you do not activate it before leaving home, your phone will not work in China or any other international destination. Check the rates you will be charged per phone call and text message. International rates are extremely expensive, even if you are using your phone to call local numbers, because your foreign phone is roaming in the Chinese cellular network and is charging you international roaming rates. Consider signing up for a special international plan that could save you money. Most providers offer plans for two weeks or a month with lower charges per minute, text message and data. Roaming charges may rack up without you even knowing and even if you are not making any calls or sending any text messages. If your phone receives a call for example, even if you don't answer it and goes straight to voice-mail, you will be charged. Be aware of data roaming charges if using apps and services like e-mail through your smartphone. Sometimes data refreshes might occur periodically without you noticing, check the settings in your device to allow for manual refresh or make sure it is either on airplane mode or totally off to avoid any unwanted roaming charges. If you are planning on using your mobile phone or 3G-enabled iPad or tablet a lot, getting a local Chinese SIM card might make more sense. You can buy a prepaid SIM card in China at any of the local wireless and telecom outlets throughout the city. You can easily install it into your cell phone or tablet, this is a great way to save money if you will be using wireless networks a lot. You must have an unlocked phone for this to work. What's an unlocked phone? It is a phone that can be used on any network. Many U.S. carriers in particular "lock" the phones you buy through their plans so they can only be used on their networks. Most phones sold in Europe and Asia are unlocked. As far as I know, a "locked" phone can be "unlocked" but that is beyond our discussion here. If your phone is still under contract, you can always buy a cheap unlocked phone from Amazon, they come as cheap as $50 or less sometimes. Also, if you have a locked phone, one of the best alternatives to stay connected is a portable wifi device, see below. They use different frequencies so make sure you choose the one that fits your device. All three have branches, kiosks and outlets throughout the cities, at the airports and train stations and getting a SIM card at any of them or any of the mobile shops in town is easy enough. They all have prepaid and pay-as-you-go plans which are convenient for short-term travelers. Make sure you get the right size SIM card for your phone or tablet. Most SIM cards are now 3 in 1 so will come in all three sizes, but double-check just in case. Older iphones use Micro-Sim, Iphone 5 and later the smaller Nano-Sim Card. iPads 4 and older use the Micro-Sim, the iPad mini and Air use the Nano-Sim. The latest Samsung Smartphones use the Nano-Sim, the oldest models use the Micro-Sim or the traditional SIM card. How much are SIM cards in China? Just as an example to give you an idea, a Unicom SIM Card with a prepaid plan and no contract for the iPad was Rmb 80 (about US$13) for 1 GB of data for one month. This was data only, no voice and the monthly plan is exactly that, a calendar month, not 30 days from start date. There are so many different plans, voice and data, data only, monthly plans, prepaid plans, etc. with new ones being added every day, there will definitely be one to fit your requirements. Best thing is to get to one of the mobile shops, the ones at the airport speak English well and they can advise as to the best options for your needs. You might need to provide an address in China and sometimes they ask for your passport but for the most part, the process is quite straightforward. You will need to activate the card once you land in China and will need to adjust your APN settings on your phone. This is our latest solution which we find by far one of the easiest ways to stay connected and specially if you travel a lot internationally, having your own WiFi Global spot is a lot more convenient and in the long run more than pays for itself. What is a portable Wi-Fi device? 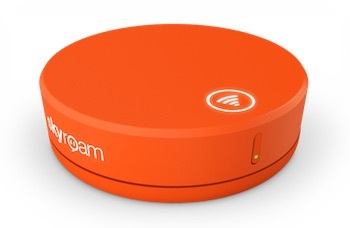 This is a handy gadget that fits in your pocket and enables you to connect several devices (we could connect up to 5 devices) i.e. phones, laptops or tablets, so you can enjoy stable and fast internet connection everywhere you go. The ones we have tried come with an integrated global SIM that works in over 100 countries, and coverage is available in China. It makes it a lot easier having your own WiFi hotspot as soon as you land, no need to buy local SIM cards, reconfigure APN settings to get everything working, you just simply turn it on and start surfing. It is also a much safer alternative than the public WiFi spots. This is for WiFi (data only), no voice. If you need to make calls you would have to use one of the apps that enable calling i.e. whatsapp, wechat, skype, etc. The downside of course is the upfront cost of the device itself and in many cases (but not all) rates will be slightly higher than if you had a local SIM card but exponentially cheaper than roaming charges by your home provider. The data rates offered in China are more than competitive and as low as US$1.50 for 300mb of data per day. You can buy, upfront cost for the device US$149.99 or rent for $9.95 per day which includes unlimited global data, devices can be picked up at many airports worldwide or they can be shipped to your home ahead of your trip. There are several models, we have the GlocalMe G3 4G LTE Global Hotspot. Upfront cost for the device is US$149.99 and can be bought at Amazon.com, Amazon.ca, Amazon.co.uk, Amazon.de, Amazon.fr, Amazon.co.jp, Amazon.com.au. There are many more global and regional packages, world travelers are bound to find something to accomodate their needs. Electricity in China is 220 Volts, alternating at 50 cycles per second. This is twice the standard voltage than in North America and some Latin American countries which run on 110V 60Hz. The standard wall plug in most households in China has a grounding pin and two power conducing pins in a V-shape. Find out what you will need to charge all of your devices in China including cameras, phones, tablets, laptops, etc. | Is a China travel tour for you? We receive a small commission when you book travel or buy products from our affiliates. Affiliate Disclosure: Some links on this page are affiliate links. We receive a small commission when you book travel or buy products from our affiliates. This helps us with our running costs of maintaining the site and helps us sponsor children in need through SaveTheChildren.org Thank you for your support! Copyright © 2019 by M. Hoffmann www.china-family-adventure.com - All rights reserved. All content (including text, photographs and video) is copyrighted. Powered by SiteBuildIt.